It's only a two-hour drive from Dallas, if you want to go find out. Planning a road trip to beautiful Trees, Louisiana, and looking to take a remarkably little-traveled route there? Boy, have I got some information for your odd and oddly specific desire. Because the GPS company Geotab has put together a guide to the least traveled roads in the country, judged by data from the Highway Performance Monitoring System, and the loneliest road in Texas is barely a two-hour drive from Dallas. I’ve even planned out the road trip for you, so that you can experience all the empty majesty of State Highway 49 in style. 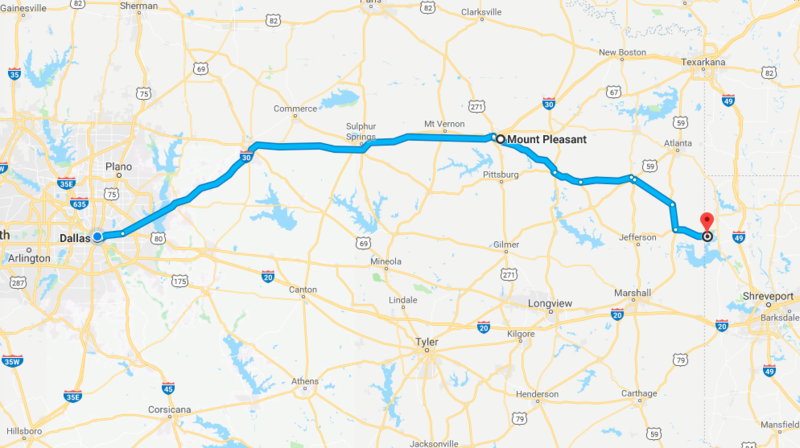 The lonely 61 miles of TX-49 start in Mount Pleasant and take you just about to the Louisiana border. If Caddo Lake doesn’t hold much appeal, you can make this just part of your trip to nearby Shreveport. While everybody else is spending spring break going to New Orleans and Florida and Galveston, you can take the road least traveled. You can take State Highway 49.